Blockchain networks, specifically public blockchains, exist as decentralized networks that need to maintain byzantine fault tolerance to retain authenticity. This is not only difficult in itself but requires novel forms of distributed governance to achieve long-term sustainability of the network as a whole, balancing human intuitions and algorithmic governance. Governance of blockchains is one of the more fascinating and complicated topics in the space. Which blockchain networks can adapt, and how they adjust, will be vital to shaping the future landscape of the industry. Blockchains aside, it is worth evaluating how governance functions within major institutions and the Internet today to help give decentralized governance some context. Governance has historically been and, likely will continue to be, a polarizing topic. The authority afforded federal governments, centralized tech companies, mainstream media outlets, and other influential institutions has continually been at the forefront of news and debate. Government models of authority and power typically take decades, if not centuries to form and often grow parallel to cultural changes. The rise of powerful tech companies like Amazon, Google, Apple, and Facebook has happened so quickly that it is hard to gauge a precedent for their dominance, particularly considering their dominance is over the Internet, a completely novel medium of communication. The increasing addiction of people to screens further gives media organizations similar power in dispersing information to the public. Out of these institutions, what are their shared governing tenets and how do they apply to blockchain networks? While governance is more nuanced — especially taking social/economic considerations into account — analyzing governance through the above categories applies aptly to blockchains. Consensus typically takes the form of hierarchical centralization in traditional governance. The US is a representative democracy comprised of elected representatives that represent larger voter interests. Companies like Facebook and Twitter operate as centralized hierarchies with top-down power structures. The consensus in these models comes about through agreement through refined groups of individuals rather than direct democracies, an important consideration. Although consensus among the US Congress is often frustratingly challenging to achieve, it is effective in mitigating conflicts that would otherwise arise without representative democracy. Incentives have a more subtle role in government and a pronounced role in institutions like tech companies. Incentives in government democracies are game theory mechanics at work, facilitating cooperation and defection between representatives with cooperation emerging more often than defection, otherwise, the government would break down. The slow-grind of conflicting incentives in representative democracies is often necessary for the long-term despite its shortcomings. Comparatively, institutions like major tech companies are primarily driven by profit. Do not let misleading ad and marketing campaigns convince you otherwise. Facebook’s data scandal is a textbook example of taking advantage of its users for such purposes. Information is difficult to put into context, especially considering the emergence of fake news and the continually escalating polarization of American politics. In the context of representative democracy, information is vital for voters to be informed on topics properly and crucial for their representatives to adequately understand their voters’ concerns and respond appropriately. Misinformation is a legitimate problem today, and navigating authentic information is not an easy task across a vast Internet. Governing Structure is appropriately correlated with consensus and has a distinct component where it is more flexible in blockchains compared to traditional institutions. Government structures are explicitly defined and exceedingly difficult to change. Moreover, corporate structures as top-down hierarchies have proven to be effective profit machines so changing the dynamic isn’t really necessary. This is where governance becomes interesting. What happens when governing structures can adapt more fluidly based on the above components when applied to blockchains that exist as transparent and decentralized networks? On the front-end, it is important to make the distinction that blockchains are a novel technology, with many moving parts and no real provably sustainable governance mechanism outside of Bitcoin, which is only a decade old. Off-chain governance more closely resembles traditional governing structures. Established cryptocurrencies such as Bitcoin and Ethereum use this model of governance through a balance (semi-balanced?) of power between core developers, miners, users, and business entities as part of the community. Bitcoin’s sustainability thus far can largely be attributed to its recognition of the need for a slow evolution that is composed of gradually implementing improvements. This is made possible primarily by its BIP proposal system, conservative approach to change by the core devs and contribution to solutions such as the Lightning Network by multiple parties to facilitate further adoption and on-board mainstream users. However, off-chain governance is relatively centralized and excludes many mainstream users that lack the technical knowledge or financial power to effect network decisions adequately. To many, this may seem necessary as direct democracies present some clear dangers to sustainability. Despite centralization, users of blockchains are granted flexibility not otherwise seen with traditional governance models. Hard forks empower users not happy with the governance of a network to create their own system by splitting the original open-source protocol. The costs for doing so are dramatically reduced compared to splitting a government or a corporate structure. Hard forks may seem like great solutions for freedom of choice in governance; however, they increase the social attack surface of blockchains and should be minimized to counter this risk, something BTC has taken into account well. The consensus in off-chain systems is typically achieved by leaders in the community. For instance, Bitcoin’s off-chain consensus (not consensus on transactions) is reached by large mining players such as Bitmain, core devs, and business entities interacting with each other and coming to an agreement. Using Bitcoin as an example again, off-chain governance incentives are disparate between the participating entities and can cause problems, with SegWit2X providing an excellent example of this. Miners want fees, devs want controlled implementation of change as well as increasing network success, and businesses want whatever is best for their bottom line. While misaligned incentives largely led to the Bitcoin Cash hard fork, this has not presented a significant problem for Bitcoin so far. Information on Bitcoin and other public blockchains is a unique proposition. The inherent transparency and trustless, decentralized nature of Bitcoin offers insights into the mechanics of the platform not available with governments or major corporations. This transparency is profoundly useful, but can also drive polarized incentives by different parties once network effects solidify entrenched positions. Information is not perfect in blockchains, but it is much better than traditional models of governance and is capable of redefining the dispersion of information on the Internet. The off-chain governing structure is not as centralized as major institutions like media or tech giants but still retains a noteworthy degree of centralization. However, Bitcoin’s BIP proposal mechanism and the ability of technically informed developers to make meaningful contributions to its development separate it from hierarchical structures of legacy institutions. Evolving off-chain governance systems has proven to take time and is usually a result of many individual actions that contribute to a broader trend that is virtually impossible to analyze from a macro perspective. Off-chain solutions for governance should continue to adapt to the blockchain space and may bring with them some novel forms of governance. On-chain governance is the more recent iteration of governance in blockchains and brings with it some fascinating and polarizing concepts. So far, many of the on-chain governance implementations have either just launched or not even launched yet. On-chain governance solutions for blockchains primarily implement some form of direct democracy through on-chain voting mechanisms that are optimized for that specific network. One of the primary concerns of bootstrapping on-chain governance is the historical precedent for governance in general. Governance models clearly take a long time to develop. Particularly considering that managing hierarchical governance is challenging in itself, extrapolating governance to a novel technology of decentralized users presents another problem entirely. EOS is an excellent example of how difficult it is to implement a governance protocol and expect it to work out of the gate. With the current speed and access to information today, the development and solidifying of on-chain governance may be accelerated, but it will still take much more time before effective models of on-chain governance prove their long-term validity, if they ever do. The consensus in on-chain governance models is typically achieved through direct voting through the protocol. This type of consensus represents more of a direct democracy with some slight optimizations for each blockchain. This is an entirely new form of consensus for governance, so there is no real use-case available with enough time to evaluate whether or not it is or can be successful. Voting results are governed algorithmically and their automatic execution is built directly into the protocol. Incentives in on-chain governance models vary distinctly from the off-chain form in that the design is to transfer power from the miners and developers to the users. While this may seem fairer, there are still lingering questions about its effectiveness in adequately steering the platform’s development in the right direction. Conflicting incentives between users will naturally arise and many of them do not have the required technical knowledge or stakes (skin in the game) in the protocol to accurately represent the best interest of the platform. Information in on-chain governance systems is similar to information of off-chain governance systems in that the transparency of the blockchain is not removed. However, they differ in that voting and proposals for development happen transparently on-chain for everyone to see. While this is improved with Bitcoin’s BIP proposal, concerns with Ethereum’s centralization in off-chain governance (see the recent decision to reduce the block reward) illuminate how a degree of transparency is still missing from many public blockchains with off-chain governance. With on-chain governance, information concerning reducing the block reward would be proposed and voted on by stakeholders or a hybrid on-chain/off-chain mechanism with full transparency. Governing structure of on-chain systems differs from traditional institutions in its direct democracy approach, something not employed by contemporary institutions or governments. The on-chain governing structure differs from off-chain governance due to precisely that, it shifts governance on-chain rather than through off-chain channels. Consensus is reached through a decentralized voting system, allowing the platform to adapt and become much more flexible than the majority of traditional models of governance. Decentralized governance has historically only worked well in small groups such as communities. Transitioning governance to a large decentralized network of pseudonymous and, sometimes completely anonymous, users presents profound challenges. Taking that into account, it is easiest to understand the models of on-chain governance by observing some platforms that are implementing on-chain governance protocols. DFINITY is pegged as the “Internet Computer” that is effectively a decentralized cloud computer. Its Threshold Relay-based consensus is intriguing, and another topic entirely, so let’s focus on its governance. DFINITY employs a “Blockchain Nervous System” (BLS) that is an algorithmic governing mechanism for protecting users from attacks and dynamically optimizing the on-chain governance and security. Primarily based on problems associated with hacking (like the DAO) where hackers are able to abscond with stolen funds, DFINITY allows chain rewrites if an aggravated party gains support from the requisite number of peers to reverse the transaction. This is interesting for several reasons. First, chain rewrites by majority vote effectively remove the immutability of the blockchain. 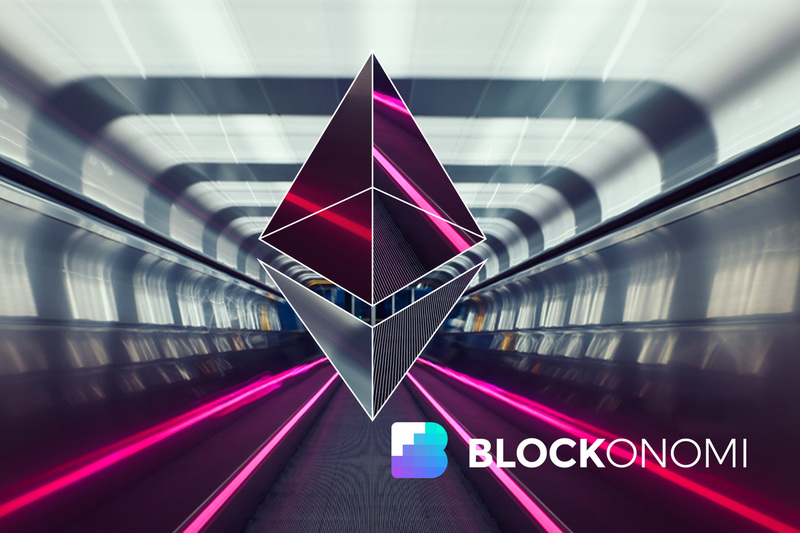 While the DAO attack produced Ethereum Classic predicated on “Code is law,” DFINITY’s model is slightly different in that for the rewrite of the blockchain (in this context, now Ethereum), the decision is made on-chain rather than off-chain. This is great for mitigating legitimate hacks in the eyes of many, but as a whole, presents some serious concerns about the power of the majority in DFINITY. For instance, if the network becomes polarized with 2 differing opinions (a typical tendency of humans), and one side has a 55 percent majority while the other side has 45 percent, what is the extent of power that the 55 percent majority will eventually have over the other 45 percent? DFINITY’s on-chain rewrite mechanism through quorum voting is interesting, but it is empirically a form of direct democracy known as “mob rule” with unproven sustainability as it has not even launched yet. However, participation in voting is usually meager, which changes the implications of majority rule in the long-run. Again, DFINITY has not launched yet, so it is impossible to analyze how this will play out. Tezos is the “self-amending ledger” that formalizes on-chain governance. Similar to DFINITY, Tezos’ approach allows the participating users of its proof of stake model to vote on everything, including chain rewrites. This presents similar problems as DFINITY but without an algorithm and specialized “neurons” making the decisions as in the BLS. Tezos uses a proof of stake model, so voting is weighted based on user stakes. Many average users do not have enough financial resources to make a substantial impact on decisions by stake-based voting, so this model trends towards centralization and the similar problems associated with direct democracy’s majority rule dilemma. Tezos allow for delegated democracies, however. Users can delegate their votes to others, resembling a more representative democracy in governance. Changes will likely face stiffer resistance if users actively participate in the delegation of votes which could prove useful for the platform in the long-term. Decred implements a more complex on-chain governance model predicated on distributing the power between stakeholders and miners. Decred has a hybrid proof of work/proof of stake consensus mechanism. Importantly, it uses a self-funding model for the network similar to Dash that funds its development. The Decred community decentralizes these funds as a DAO and can submit improvement proposals and vote on funding specific developments through a ticket voting process. Users can lock funds in and participate in 3 governance mechanisms with the received “active tickets,” including 2 off-chain and 1 on-chain. Through random ticket selection, users can vote on on-chain agenda voting to the consensus rules, voting to approve PoW miner work, and Politeia proposal voting. Politeia voting does not directly occur on-chain but is interwoven into the blockchain in specific ways and concerns votes on changing the Decred Constitution. Similar to Tezos and DFINITY, Decred’s ability to “amend” the blockchain raises concerns over immutability and the power of the majority of voters participating in the protocol. However, its hybrid model may prove effective in balancing the power of direct voting on-chain that can lead to problems. A clear distinction about the concerns around the power of the majority in amending the blockchain is twofold. First, amending blockchains removes their immutability, a powerful component of their application. Second, the ability to amend the blockchain runs contrary to the slow, conservative and gradual implementation of improvements that is the approach taken by Bitcoin. While Bitcoin’s model may have room for improvement, it is so far the best example of sustainable governance in the cryptocurrency sphere. Amending protocols may prove effective, but tempering their occurrence is likely a strong hedge against their negative consequences like moving further away from the original tenets over time. On-chain governance has some decisive implications and has become a highly polarizing topic in the cryptocurrency space. Fred Ehrsam provided an insightful Medium post about on-chain governance mechanics and their future potential. Conversely, Vlad Zamfir responded to Ehrsam’s post with some of his serious concerns around on-chain governance moving forward. Both positions point to the complexity associated with blockchain governance and how many different iterations of decentralized governance we may eventually see. Haseeb Qureshi also supplies an excellent analysis of governance in blockchains and elaborates on precisely why they should not adopt traditional models of democracy as governance structures. Further, Vitalik Buterin also has some great insights into blockchain governance. Decentralized systems are difficult enough to manage in the short-term to properly function. Adding in long-term sustainability through experimenting with bootstrapped governance models adds a layer of complexity that obscures any realistic projection of what future governance for blockchains might look like. Whether or not on-chain, off-chain, or a combination of both governance models will eventually prevail will likely take years to unfold. Over that time, there will assuredly be some groundbreaking revelations in technology and evolving governance structures to fit the new paradigm of the decentralized Internet.